It has now been a week since Slayage ended, and I have had that time to reflect on what was, in many ways, one of the best conference experiences I have ever had. As I said in my previous post, it is a pretty singular experience to attend an academic conference at which everyone is familiar with all of the primary texts: normally conferences tend to feature an awful lot of papers on topics about which you know nothing, are only tangentially familiar with, or simply don’t care about. Not that there is anything wrong with that: it is the way of academic conferences, and frequently yields pleasant surprises when you sit in on a panel not expecting to hear anything of interest to you and become fascinated by someone or other’s compelling take on an issue you never knew existed. 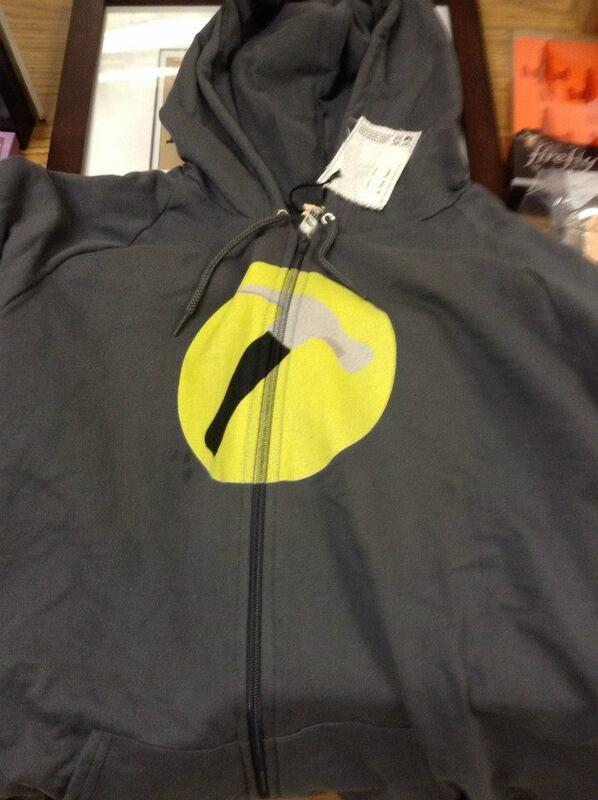 I was one of the few people at the conference without Whedon-themed clothing, but then I won this sweet Captain Hammer hoodie in the silent auction. All set for 2016! I’m a little ashamed of that defensive crouch now in the aftermath. Well, not ashamed exactly, because there was never any doubt in my head that the works of Joss Whedon are worthy of academic inquiry and analysis, but I’ll certainly be less instinctively defensive in the future. Indeed, I mean to make it my mission to rope in friends and colleagues who are fellow Whedon enthusiasts to come to future conferences, and one day to bring the conference itself to Memorial. If I’d had a concern going in to Slayage, it was that the academic rigor on display would be denuded by fanboy and –girlism. It is, unfortunately, something you see in television studies—not a lot, but enough to be dismaying—when you read an essay whose author has obviously let his or her enthusiasm and love for the topic run away from them a bit and erode the kind of scholarly and critical objectivity such work demands. In such cases there is often a subtext of “OMG, I can’t believe I get to write about this!” at work, though that may just be me projecting. 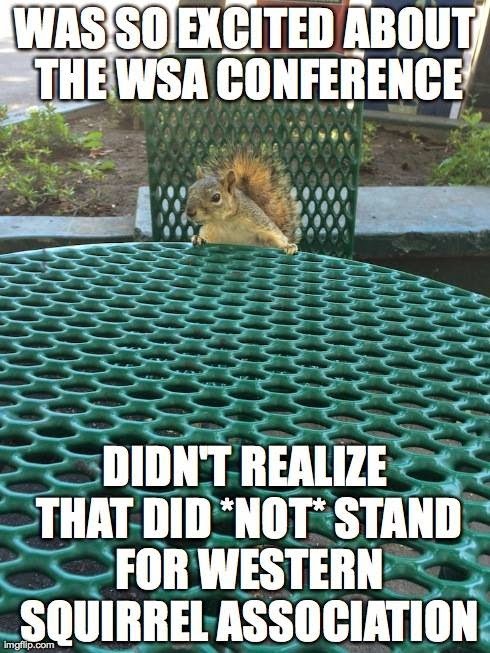 The squirrels on Sacramento State campus were disturbingly bold, and in the aftermath a good number of squirrel memes emerged on Facebook among WSA members. There is an interesting study—probably more than one—to be done on intersections of fan culture and academia. To a certain extent, certainly when it comes to the study of literature and film, all professors are fanboys and –girls. There’s a large number of factors contributing to the masochism that propels people through a PhD (including, but not limited to, actual masochism), but one of the most crucial is the kind of obsession with a series of texts and authors that in other contexts leads people to dress up in costumes and attend comic-cons. There’s a blush of respectability associated with the study of Shakespeare and other canonical authors, of course, but the professoriate has long been lampooned for displaying the qualities often associated with so-called geek culture, from being fashion-challenged, to inhabiting recursive bubbles of self-reference, to obsessing over arcane and esoteric details, to being loners locked away in rooms poring over the minutiae of our chosen field. Oh, and writing endless tracts discussing and arguing all of the aforementioned minutiae and arcana, to say nothing of the blood feuds that erupt when people disagree over foundational tenets. No blood feuds here. 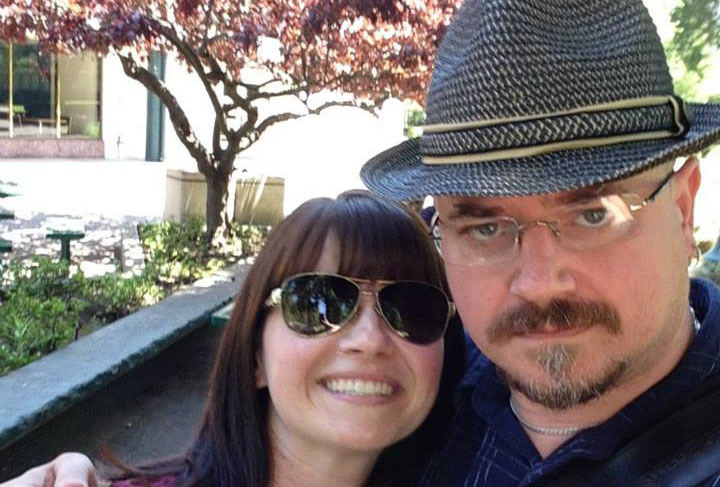 The conference was also great because I got to hang out with Nikki Stafford, whom you might remember from such roles as my Game of Thrones co-blogger. I’m happy to say that those stereotypes, while occasionally accurate, have far less basis in reality than many might imagine. Both fan culture and academic are far more social, far more gregarious, and far less contentious than often characterized. (That being said, for all of the comity and friendliness at Slayage, there was one moment when I was afraid punches would be thrown, when someone went off-topic and said that Matt Smith was a far superior Doctor Who than David Tennant. At which point there was serious concern about blood being spilled). Whatever fears I had about Slayage descending into Comic Book Guy-style nerdery and nitpicking were totally unfounded: the papers were indistinguishable from almost any other academic conference I’ve attended in terms of their quality and intellectual rigor; I’m tempted to say that they were on average of higher quality than normal, but that might just be because I was more familiar with their primary texts. The WSA [Whedon Studies Association] is devoted to the academic study of Joss Whedon, a prospect that has caused more than one media professional to say, “Huh-what?” I’m not here to re-plow that ground—Whedon’s work often shows depth and nuance that an academic would eagerly pounce on, and the fact that humor is so tightly interwoven just makes the exploration that much—well, cooler. We’re fans of the work … which means we quote, and quip, and wear clever T-shirts. But at the core, Slayage is about scholarship. How does Dollhouse tackle themes of consent and privilege? How can theories of leadership and military tactics be applied to The Avengers? How does the law firm of Wolfram & Hart reflect actual legal principles of a “vigorous defense”? Oh, we do go on. We do indeed, and it was a great pleasure to be part of it. Any fears I had that it would be a love-fest of all things Whedon ended in the very first panel I attended. The members of the WSA are fans but not slavish fans: there was an awful lot of poking-with-a-sharp-stick going on, especially in terms of Whedon’s gender and racial politics (one of the perennially uncomfortable questions that got a lot of airing last weekend was that, if Firefly depicts a future in which China and the United States emerge as conflated cultural hegemons—to the point where Chinese phrases and curses are part of the vernacular—why is it we see absolutely no Asian faces in the series?). 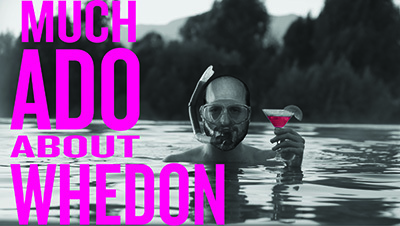 On one hand, a critical mass of scholars and academics has grown around Whedon’s work because of his peculiar brilliance, his humour, and his recurrent themes and tropes. But on the other hand, we should our love as all adults should, but occasionally poking with the aforementioned stick. Well … not that kind of stick, necessarily. I also do not want to re-plow the ground of just why scholarly attention to such figures as Joss Whedon is not just justified but vital—I’ll save that for a future post—but to use this forum to thank everyone who organized the conference for a job extremely well done.